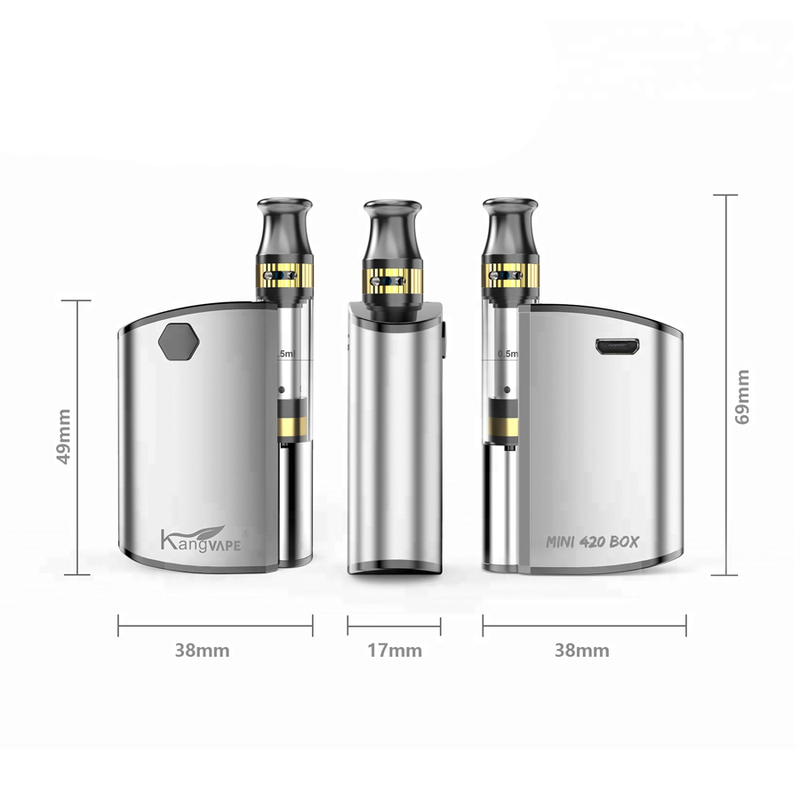 The Mini 420 Box Kit from Kangvape is an ultra compact and versatile 510 cartridge battery kit that sports advanced variable voltage output and a friendly price tag. 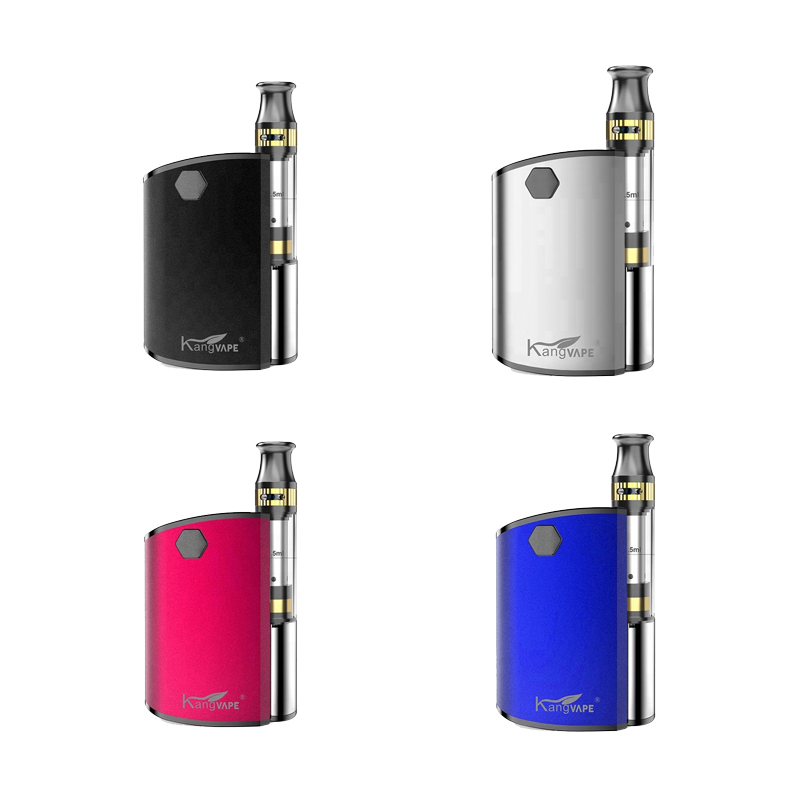 It has a premium 400mAh lithium ion battery that is easily controlled through just one button, making stealthy travel sessions that much easier. Five rapid clicks powers the device on, three changes its voltage output and two initiates the innovative preheat mode. A couple of seconds after you let go of the button the LED will flash again to show you it's remaining battery life (Red 10-40%, Blue 40-70%, White 70-100%). When it falls below 10% power the LED rapidly flashes red letting you know it is time to recharge. Just connect to the included charging cable and the light will shine red while it charges and turn off when it is done. Inside every kit there is also a premium glass oil cartridge included. 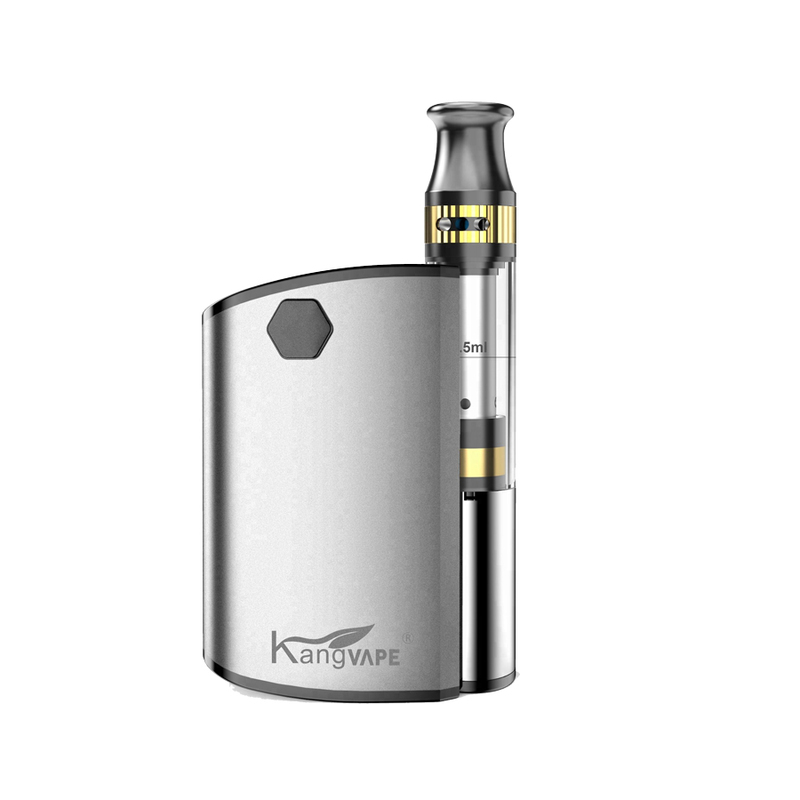 It holds a maximum capacity of 0.5mL and utilizes the cup style structure for easy and mess free refills with absolutely no leaks to worry about. 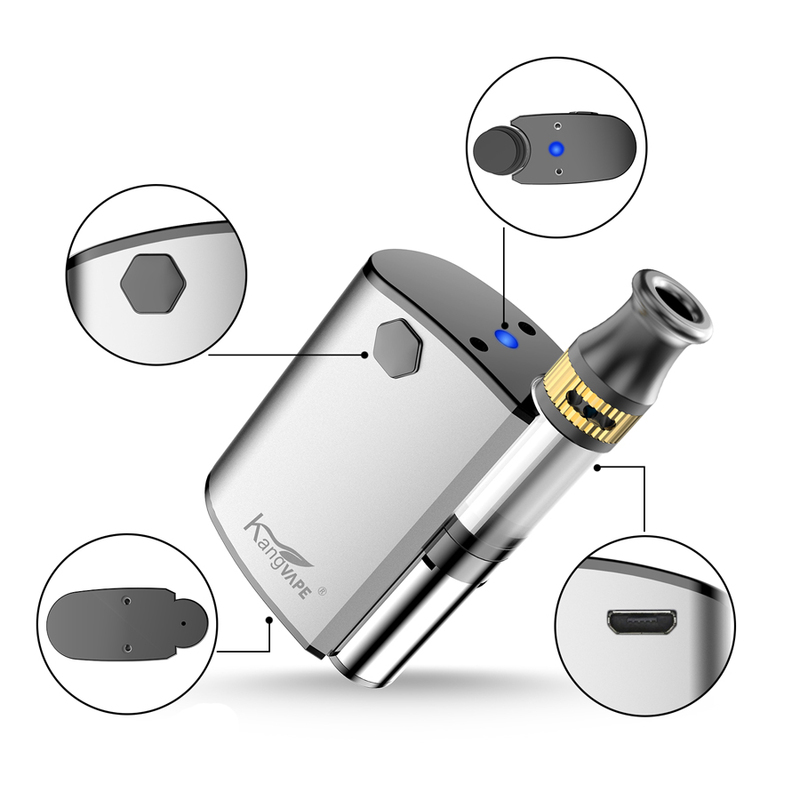 It also has a top adjustable airflow control ring and wickless ceramic core element that delivers thick on demand flavor with immense flavor. 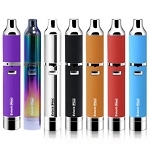 Prefer to use your own refillable oil cartridges? No problem. 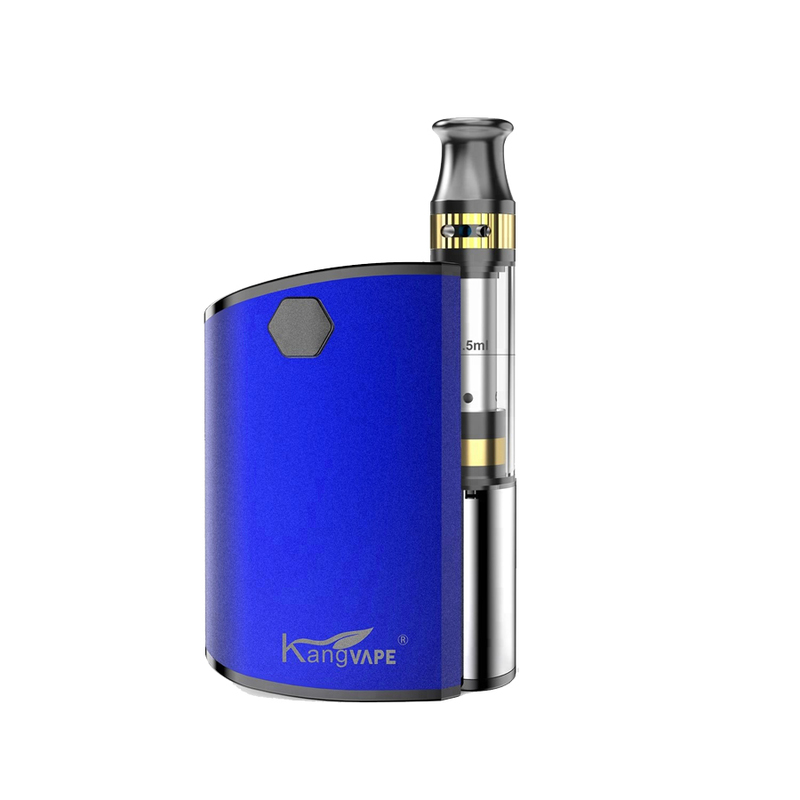 The Mini 420 Box by Kangvape is made to be widely compatible with most other attachments on the market measuring all the way up to 11.2mm in diameter. This complete cartridge battery kit will make your life on the go easier than ever before. Measuring in at only 2.7 inches tall (with cartridge) by just under 1.5 inches wide, it conceals easy in the palm of your hand and drops into a pocket comfortably without you even noticing it's there.